A weird baby, a time-hopping sister, and a toddler on an epic adventure - I'm sold! It’s all here in the trailer for Mirai, the latest whimsical anime family feature from Mamoru Hosoda. The feature looks to be a perfectly adorable fantasy, teasing us with a heartwarming message about family ties while pumping up the excitement factor. It has just the right amount of intrigue and a gorgeous, fluid visual style to keep audiences universally captivated. The trailer brings us the story of four-year-old Kun, jealous of his new baby sister - the eponymous Mirai, Japanese for 'future'. Spoiled and sulking, he one day has a strange encounter, startled by none other than an older Mirai. With his newfound teenage-baby sister, he embarks on a journey into a very big world, daunting even for the bravest of individuals, let alone a child. It looks to be in the same vein as The Girl Who Leapt Through Time and even Makoto Shinkai’s stunning Your Name (man, that film still gets me good) - only this time, the hero is pint-sized and clearly in possession of greater intellectual faculties than the average toddler. Hosoda’s previous features (Wolf Children, Summer Wars, The Boy and the Beast - and lest we forget, Digimon: The Movie) are pretty special affairs, and Mirai looks to be no exception. The trailer captures this in an economical way: in a very postmodern and unexpectedly deep turn, a Hugo-esque guard can be seen to ask ‘Oh, are you saying you’ve lost yourself?” This is a kids’ movie, right? But that aside, there are adventures galore: trains zipping between cities, sprawling metropolitan havens and winding countryside roads, as well as a not inconsiderable amount of airborne transportation, intended or spontaneous. At its heart, it's about bringing family closer together and does this in spectacular ways. With the Ghibli empire reaching the end of an era and the rise of Studio Ponoc -- who made an out-of-this-world debut with Mary and the Witch’s Flower, so breathtaking I literally had no breath left -- it seems as if, too, a lot more independently-produced anime features are getting better publicity and more Western releases. Released in Japan back in July and an official selection at Cannes Directors’ Fortnight, the feature has already been looked on kindly by critics, hailed as the 'capstone' of Hosoda's career. Mirai will be released in theaters on November 30th, with special Fathom Events screenings taking place on November 29th, December 5th, and 8th. I'm super excited to go beyond the teaser and see what's in store! 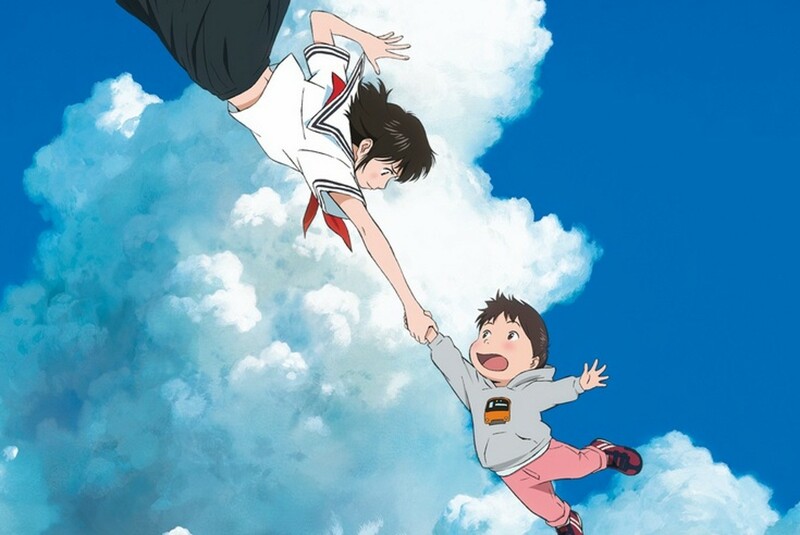 Judging by the trailer I'm holding out for a subbed-not-dubbed release, with all the quickfire wit of the original dialogue playing off against spellbinding visuals, and the unique big-screen experience that should work wonders for Hosoda's style.